266 pages | 65 B/W Illus. 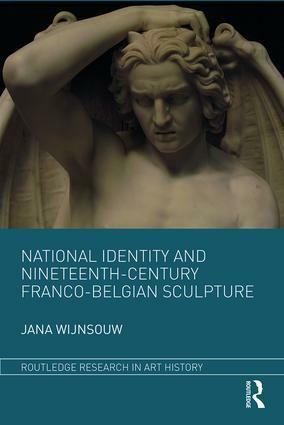 This book elaborates on the social and cultural phenomenon of national schools during the nineteenth century, via the less studied field of sculpture and using Belgium as a case study. The role, importance of, and emphasis on certain aspects of national identity evolved throughout the century, while a diverse array of criteria were indicated by commissioners, art critics, or artists that supposedly constituted a "national sculpture." By confronting the role and impact of the four most crucial actors within the artistic field (politics, education, exhibitions, public commissions) with a linear timeframe, this book offers a chronological as well as a thematic approach. Artists covered include Guillaume Geefs, Eugène Simonis, Charles Van der Stappen, Julien Dillens, Paul Devigne, Constantin Meunier, and George Minne. Jana Wijnsouw holds a PhD from the Department of Art History, Music, and Theatre Studies at Ghent University.